Opus 4 players with guest artists Cathy Labuda, piano, and Chris Arcy, bass, will perform the Schubert “Trout” Quintet and the Mozart Piano Quartet in g minor. 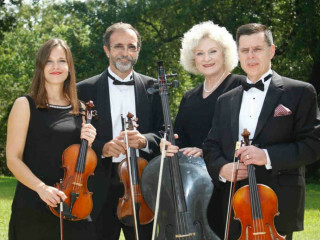 Opus 4 includes Pablo Donatti and Janis Garcia, violins; Don Burell, viola, and Nancy Francis, cello. The May 25 performance will be at the Unitarian Fellowship of Houston, and the May 27 performance will be at St. Mary’s Episcopal Church.